3. 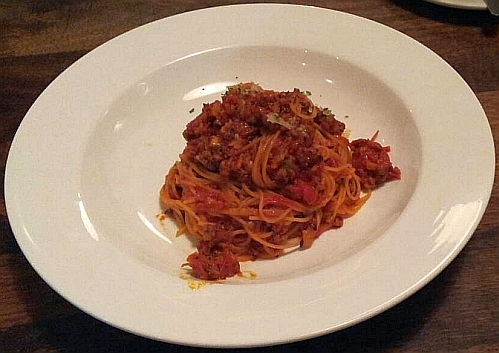 MYR 25.90 nett to create your own pasta by choosing a type of pasta and a type of sauce. Then top up if you want to add other meat or ingredients to your pasta from a list provided. 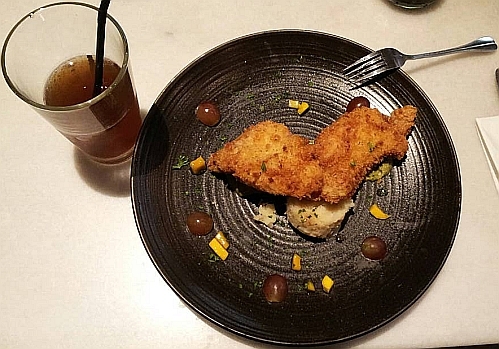 The set price includes a main meal and bottomless ice lemon tea. For my lunch that day, I selected deep fried white fish fillet at MYR 15.90 nett. Passable only. I kept one piece for dinner. 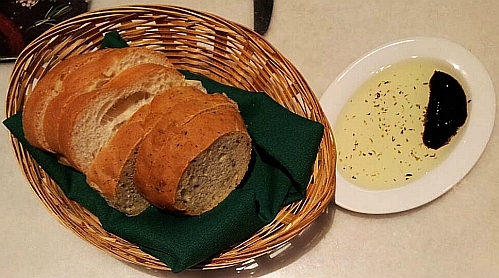 Complimentary bread is provided with olive oil and balsamic vinegar dip. On another day, we visited the outlet at The Curve. This time I ordered the 9" pepperoni pizza at MYR 15.90 nett. It was divided into 6 segments. I ate 2 slices and kept 6 slices for my other meals. 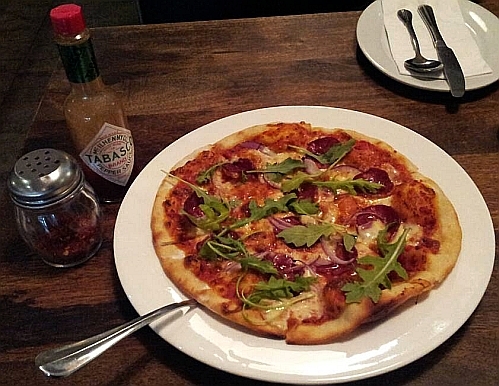 Flavourful and tasty. I think I will try all the dishes in this section other than the chicken caesar salad on future visits. 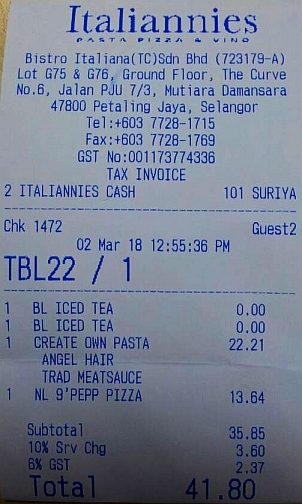 My friend created her own pasta by choosing Angel Hair pasta with Bolognese sauce without adding any topping so the price is MYR 25.90 nett. Bill for 2 pax: MYR 41.80 nett. This is the menu sourced from their website. Please click on it for a larger image to read the text. From this menu, which one would you try? Click on it for a larger image. All the selections are very tempting..I will be a return customer to try all of them. I would like to try the calamari risotto and hawaiian chicken pizza as i like pineapple chunks in my pizza. As for the pasta, i would choose spaghetti, as for the topping, oh i am spoilt for choices, i would like to try the smoked duck bacon, grilled chicken breast, tiger prawn and meatballs. Of course more toppings more tasty! That is 1st choice too. Heard of the place, never been. Would love to check out this place the next time I am there. I would like to create my own pasta with sauce. I say the promotion is good. Love the complimentary bread with sauce. The pictures make me hungry! Want to train my stomach to shrink, hahaha. hahahaa... I will do like you do, Mun... only that they won't be as crunchy in the later part of the day.. Interesting. But Mon to Fri only, sigh. When you are on leave, can bring your children there during their school holidays.